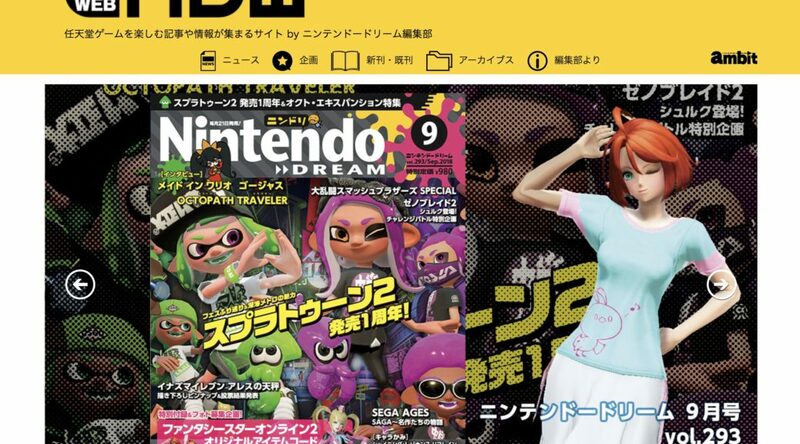 Nintendo Dream is a popular Japanese magazine dedicated to all things Nintendo founded in 1996. But little do people know that Nintendo Dream actually has a website. In fact, Nintendo Dream’s website has been down for awhile and has finally reopened with a new bright yellow design.